(Feb. 1, 2019)–The annual Healthcare Financial Management Association (HFMA), UK division, took place last December at the Hilton Metropole Hotel in London, England. The conference included a series of themed workshop sessions, dialogue and discussion about best practices, and more. OC Reilly participated in a comprehensive exhibition area where they were able to share actual success stories and case studies with leading healthcare executives from the UK. With more than 13,000 members in the UK along with the 38,000 U.S. members, HFMA is a premier membership organization for healthcare finance leaders, working to achieve consensus on solutions for the challenges U.S. healthcare faces today. 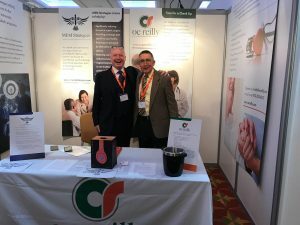 Scenes from the OC Reilly booth at the annual UK Healthcare Financial Management Association (HFMA) Conference in London this past December. (Aug. 18, 2018)–The Dimond Family’s 5th Annual Glimmer of Hope Golf Outing, to raise awareness and financial support for breast cancer research, received backing from OC Reilly as a corporate sponsor. “We value the work done by the Dimond Family to advance the cause of greater prevention and treatment of breast cancer, and are proud to again support this worthy cause,” said OC Reilly Vice President of Business Operations Vicki White. (Aug. 14, 2018)–Allegheny Health Network unveiled plans for its newest facility, AHN Wexford Hospital, and representatives from OC Reilly were in attendance at the event. Highmark Health President and CEO David Holmberg and AHN President and CEO Cynthia Hundorfean hosted the event, introducing the community to this state-of-the-art medical facility. “Comprehensive patient and family-centered health care close to home is more important than ever, and AHN’s plans in Wexford are a great example of bringing this strategy to life,” said Bill O’Connor, OC Reilly president. (July 30, 2018)–OC Reilly participated in the 2018 Allegheny Health Network Golf Classic as a Eagle Sponsor. The event, held at both the Allegheny Country Club and the Sewickley Heights Golf Club, generates support from the community to bolster innovative health care services across the region. “AHN has been a longtime partner with OC Reilly, and we’re proud to participate in this annual event,” said OC Reilly President Bill O’Connor. This donation has been dedicated to specifically benefit the Neonatal Intensive Care Unit at West Penn Hospital. (May 8, 2018)–Presbyterian SeniorCare Network will be the beneficiary of a donation made by OC Reilly to the Highmark “Walk for a Healthy Community,” slated for May 12 in Pittsburgh. Walkers from OC Reilly will participate in the fundraising event, as well, in support of the Presbyterian SeniorCare Network’s mission of “enriching the aging experience through person-centered services and living options.” Donations from the walk event will go toward providing lifestyle engagement opportunities for the residents of Westminster Place, a facility operated by Presbyterian SeniorCare Network. (March 20, 2018)–The Power of Work Awards, the signature fundraising event for Goodwill of Southwestern Pennsylvania, received support from OC Reilly this year. The awards recognize the extraordinary efforts of businesses to hire and help people with disabilities and other barriers that stand between them finding and maintaining gainful employment. OC Reilly joined with business associate ComDoc to support the event. “This event helps provide important job training and employment services, and we’re honored to be a part of this event,” said Bill O’Connor, president and CEO of OC Reilly, Inc.
(Oct. 26, 2017)–Rick Chew, Business Analyst with OC Reilly, will be participating along with Presbyterian SeniorCare in the “Walk to End Alzheimer’s” on Nov. 4 in Pittsburgh, dedicating the effort to his mother, who suffered from the disease for many years. “I’m leading the way to Alzheimer’s first survivor by participating in the Alzheimer’s Association Walk to End Alzheimer’s,” he said. “Currently, more than 5 million Americans have Alzheimer’s and that number is expected to grow to as many as 16 million by 2050. Our future is at risk unless we can find a way to change the course of this disease.” To support Rick with a donation, please click here. (Sept. 23, 2017)–OC Reilly continued its ongoing support of the Juvenile Diabetes Research Foundation, by fielding a team to participate in the annual “JDRF Walk to Cure Diabetes,” held recently in Pittsburgh’s Schenley Park, as well as making a donation to the cause. The company is proud to contribute to JDRF as it continues its research and innovative efforts to treat and eradicate this serious disease, supported by the significant involvement of a major regional health care system. (August 21, 2017)–A Shotgun Four-Person “Trojan Open” Scramble golf outing, held today at Butler Country Club in support of Cardinal Wuerl North Catholic High School, had support at the “Eagle” level from OC Reilly. The annual event funds scholarships and academic programs at the parochial school. 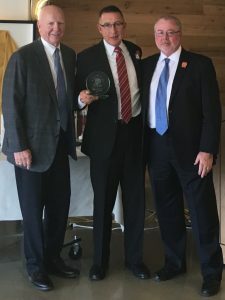 “With a personal history at North Catholic, including that of my children, it’s always a treat to participate in events that help ensure that future generations get the same quality education that we did,” said OC Reilly President and CEO Bill O’Connor. (August 18, 2017)—OC Reilly sponsored a foursome and participated in the Dimond Family Golf Outing in support of the Glimmer of Hope Foundation, which assists in providing breast cancer research for pre-menopausal women. The proceeds from this event will be used to focus more national attention on the alarming fact that the incidence of breast cancer in women under 40 is actually increasing. “OC Reilly is long-standing supporter of this cause, and we’re happy to help in the fight against breast cancer,” said Bill O’Connor, OC Reilly president and CEO. 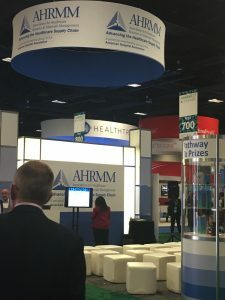 (July 24, 2017)–Members of the OC Reilly team attended the Association Healthcare Resource and Materials Management (AHRMM) Conference in Washington D.C. from July 24-25, 2017, to network and engage with other healthcare supply chain professionals. (May 1, 2017)–The legendary course at Oakmont Country Club, site of last year’s U.S. Open, played host to members of the OC Reilly team and many other supporters of the 22nd annual Presbyterian SeniorCare Golf Outing. Proceeds from the event benefit the SeniorCARE Fund, which assists residents of the facility who no longer have adequate resources to pay for their care. “Presbyterian SeniorCare has provided this kind of compassionate care for seniors for going on nine decades, and we’re honored to be able to support this admirable mission,” said OC Reilly President and CEO Bill O’Connor. 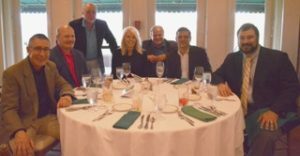 Dinner followed golf and participants included Rick Chew, Ray Staudt, Mike Monahan, Vicki White, Bill O’Connor, and Scott Satkoske. (April 22, 2017)– OC Reilly recently participated as a Corporate Sponsor of the “Dancing with the Celebrities of Pittsburgh Gala” event, to raise funds in support of Cardinal Wuerl North Catholic High School. Funds raised through the annual spring event benefit the school and its students in fulfilling its ongoing mission to deliver the highest quality of education in a caring and challenging community of learning. 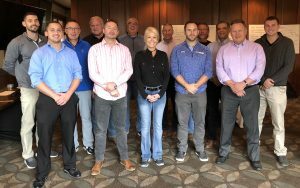 “We believe in the work that’s done at CWNC, and OC Reilly is pleased to once again provide this support at the Corporate Sponsor level,” said company President and CEO Bill O’Connor. (Nov. 5, 2016)– To mark the 25th anniversary of Woodside Place, one of the nation’s first personal care residences for older adults living with Alzheimer’s disease and related dementias, Presbyterian SeniorCare held a special celebration event dubbed the “Silver Factory Experience.” OC Reilly, a longtime supporter and partner with PSC, participated in the event as a Platinum Sponsor. 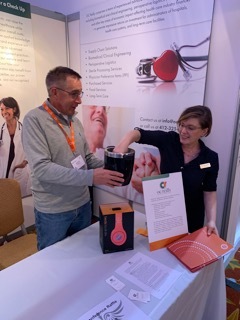 “We are honored to take part in this worthy event that supports efforts to create special moments of enrichment and connection to these patients and the people who love them,” said OC Reilly President and CEO Bill O’Connor. (June 21, 2016)– As a Gold Sponsor of the St. Alphonsus 2016 Golf Classic, members of the OC Reilly team participated in a day on the links in support of this vibrant parish and school serving thousands of worshippers and their families across the North Hills of Pittsburgh. “It’s an honor to support this worthy cause,” said OC Reilly President and CEO Bill O’Connor. (June 4, 2016)–Leaders from OC Reilly took part in the 2016 “Walk to Cure Arthritis,” sponsored by the Arthritis Foundation. The event, which raised more than $121,000 to find a cure and provide support services to those suffering from arthritis, included thousands of supporters from the greater Pittsburgh area. “As part of our mission to help make healthcare as strong as possible across our community, we’re proud to take part in this annual fund-raising event,” said OC Reilly President and CEO Bill O’Connor. (May 3, 2016)–Just weeks before the U.S. Open takes the stage, members of the OC Reilly team played the course at Oakmont in support of the 21st annual Presbyterian SeniorCare Golf Outing, with proceeds benefiting the SeniorCARE Fund, assisting residents of the facility who no longer have adequate resources to pay for their care. Presbyterian SeniorCare has provided benevolent care for seniors for nearly 90 years, and we’re honored to be able to support this important mission,” said OC Reilly President and CEO Bill O’Connor. (Feb. 20, 2016)–The American Heart Association, celebrating 90 years of saving and improving lives, held its annual “Open Your Heart” recognition and fund-raising event tonight at the Wyndham Grand Hotel in Downtown Pittsburgh. OC Reilly President and CEO Bill O’Connor served on the Executive Committee for the event, and sponsored a table to support the AHA to fund more research than any organization outside the federal government for new research projects, education programs, and more efforts to address heart disease and stroke in women and minorities. (Nov. 2, 2015)–OC Reilly is proud to serve as a sponsor of a special event hosted by Allegheny Health Network, which will welcome actor Robert Duvall to Pittsburgh. The event benefits the Robert Duvall Children’s Fund, along with AHN’s Pediatric Orthopaedic Care and Sports Medicine programs. Events like this are critical to raising the profile of AHN across the community and to building a wider audience of support for the AHN mission to deliver on the promise of Health for All. 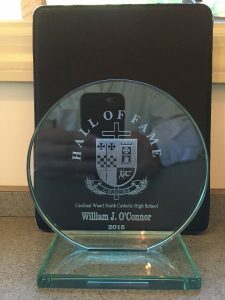 (Oct. 20, 2015)–William J. O’Connor, President and CEO of OC Reilly, was recently inducted into the Cardinal Wuerl North Catholic High School Trojan Hall of Fame in recognition of his support of the school and his history of values-based business dealings. “I do take some small measure of pride in that your willingness to add me to this wonderful Hall of Fame is based on the idea that I have tried to treat other people with dignity, act in a just and fair manner, and serve others whenever possible,” O’Connor said in accepting the honor. In the above photo to the right, Bill was introduced by lifelong friend, William “Bill” Ryan (right), chairman and CEO at Point Spring and Driveshaft Company located in Pittsburgh. He accepted his award from Jim Stalter (left) who was the emcee for the event, alumnus and former board member for the high school. (August 17, 2015)—OC Reilly participated as a major sponsor of the North Catholic Scholarship Fund, held at the Butler Country Club. The event raised funds for a scholarship program providing financial aid to “an exceptional young student who carries the same qualities, characteristics, and potential as some of the most prestigious alumni to have gone through North Catholic.” The fund also provides the support of a mentor for the scholarship recipient during all four years at the high school. The company is again proud to support this noteworthy clause. (August 21, 2015)—OC Reilly recently made a significant donation to the Dimond Family Golf Outing in support of the Glimmer of Hope Foundation, which supports breast cancer research for pre-menopausal women. The proceeds from this event will be used toward the purchase of a 3D Imaging Machine for breast cancer screening in the local community. The founder, Diana Napper, created a beautiful pin for those to wear who are battling or have battled breast cancer. (May 28, 2015)–OC Reilly has pledged financial support to the Walk to Cure Arthritis, an annual event conducted by the Arthritis Foundation’s Great Lakes Region-Western PA chapter. “We’re proud to be a part of this important yearly event, which helps generate funds to sponsor research and treatment of arthritis, a medical condition that affects thousands of people,” said OC Reilly President and CEO Bill O’Connor. (April 12, 2015)–OC Reilly Inc. offered support to a special scholarship fund for outstanding students of any cultural background, by making a donation to the 2015 National Italian American Sports Hall of Fame Man of the Year event, which this year honored John W. Paul, President and CEO of Allegheny Health Network. The 29th annual awards and scholarship banquet, held at the Westin Convention Center, continues to raise funds to assist deserving students pursuing a college degree. To date, the Pittsburgh Chapter has raised more than $675,000 in scholarship funds. 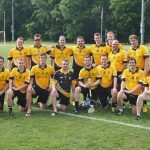 (Dec. 15, 2014)—OC Reilly has served as a major sponsor of The Pittsburgh Hurling Club and its local team, the Pittsburgh Pucas, in support of its efforts to encourage development, understanding, and increased participation in hurling – an ancient Irish field sport, similar to soccer and field hockey, with elements of baseball. 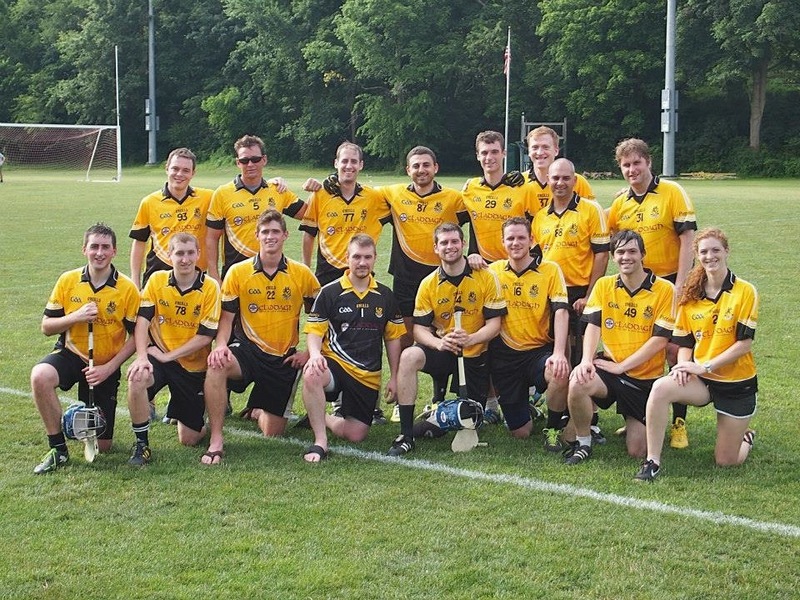 The Pittsburgh Pucas team participates in multiple tournaments a year, including the North American Finals, reaching the semifinals the past two years. 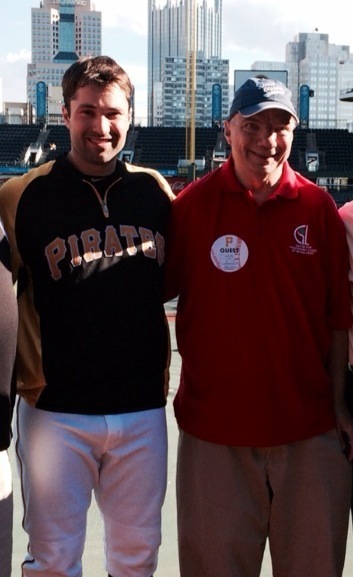 (Oct. 14, 2014)–Bobby Staudt, a lifelong Pittsburgh Pirates fan with special needs, and brother of OC Reilly’s Executive Director of Business Development Ray Staudt, was the guest of Neil Walker of the Pirates during batting practice prior to a regular season game at PNC Park on September 16. He got to meet Neil and other current and former Pirates players, and also had the opportunity to share his Special Olympics gold medal-winning experience with Pirates Manager Clint Hurdle. Bobby commented afterward that it was one of the best days of his life. (Sept. 29, 2014)–OC Reilly continued its ongoing support of the Juvenile Diabetes Research Foundation, by both participating as a major sponsor and in fielding a team to participate in the annual “JDRF Walk to Cure Diabetes,” held recently in Pittsburgh. The company is proud to contribute to JDRF as it continues its research and innovative efforts to treat and eradicate this deadly disease. 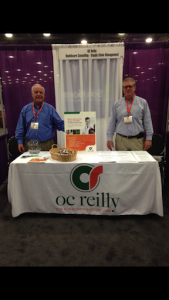 (Sept. 29, 2014)—OC Reilly hosted a display booth at the annual LeadingAge Ohio conference trade show, recently held in Columbus, Ohio. Traffic at the booth was spectacular with owners and senior management of numerous facilities eager to learn how OC Reilly can improve their bottom line. Since the event, OC Reilly has followed up with each attendee who visited the booth. 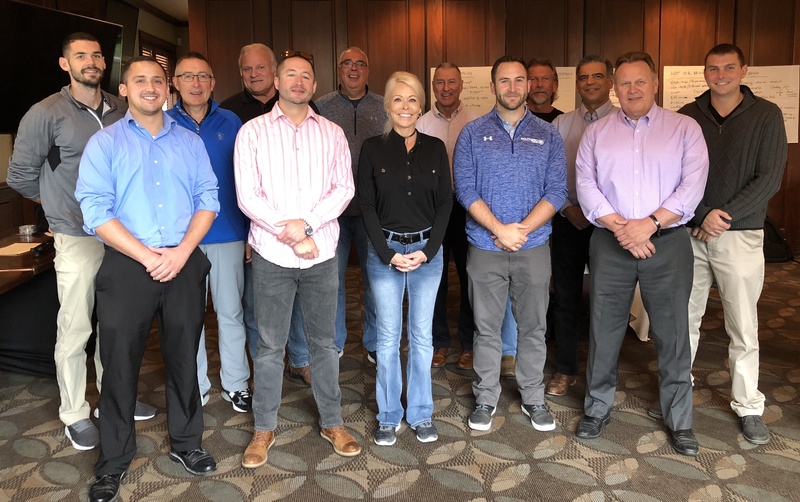 Founded in 1937, LeadingAge Ohio is a nonprofit organization that represents approximately 400 nonprofit long-term care organizations located in more than 150 Ohio towns and cities, as well as those providing ancillary health care and housing services. 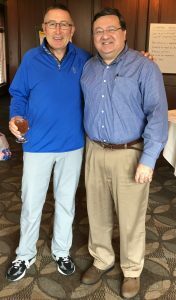 (Sept. 15, 2014)–OC Reilly participated as a major sponsor of the North Catholic Scholarship Fund Golf Outing recently, held at the Conley Resort in Butler, PA. The event raised funds for a scholarship program providing financial aid to “an exceptional young student who carries the same qualities, characteristics, and potential as some of the most prestigious alumni to have gone through North Catholic.” The fund also provides the support of a mentor for the scholarship recipient during all four years at the high school. The company is proud to support this noteworthy cause. (Sept. 15, 2014)–OC Reilly served as a Platinum Sponsor of the Friends of Pine Community Parks Golf Classic, held this summer to support the maintenance and continued improvement of the park system in Pine Township, a municipality located north of Pittsburgh. “We’re proud to help sustain the quality of life in our communities through events like this,” said Bill O’Connor, President and CEO of OC Reilly. (Sept. 15, 2014)–OC Reilly recently supported the Pittsburgh Cultural Trust Gala as a Directing Sponsor, helping to raise funds and appreciation for the city’s outstanding Downtown district dedicated to all forms of the arts. This year’s event featured the 2014 Jazz Tapestry Gala, with a performance by Cyrille Amiee, winner of the Montreaux Jazz Festival’s International Vocal Competition. “The arts help to make Pittsburgh such a great place to live and work, and we’re happy to play a part in supporting the Cultural District,” said Bill O’Connor, President and CEO of OC Reilly. 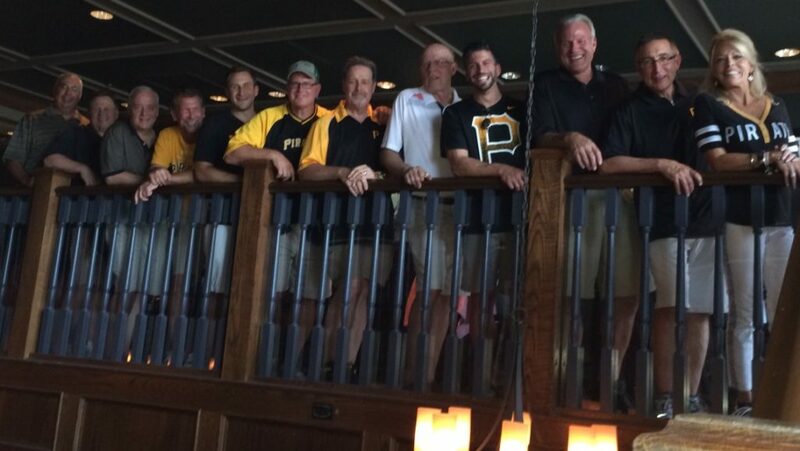 (Sept. 22, 2014)–The entire OC Reilly team gathered at PNC Park at a recent Pittsburgh Pirates baseball game, to cheer on the hometown club as it drives toward a second consecutive year of making the playoffs. The Pirates outing has become an annual event for the company’s employees, giving all members of the team a night out to relax and spend time together apart from the daily business demands. (June 9, 2014)–OC Reilly participated as an Eagle Sponsor of the 2014 Golf Classic, benefiting the West Penn Hospital Foundation. This year’s event was held at the Pittsburgh Field Club in Fox Chapel. The company is proud to support the foundation and the many positive programs it supports for patients and staff at West Penn Hospital. 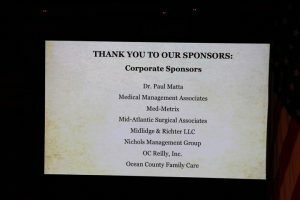 (June 9, 2014)–OC Reilly Inc. served as a sponsor of the fourth annual American Diabetes Association’s “Father of the Year” Award event, celebrating gentlemen who have made being a father their top priority, while raising much needed funds for diabetes research and advocacy. This year, one of the men receiving the recognition was John Paul, President and CEO of Allegheny Health Network. (May 2014)–Sales Directors Joe Shellem, left, and Jeff Haus, right, represented OC Reilly at two recent healthcare conferences: The Ohio Health Care Association’s Long-Term Care Convention and Expo, and the West Virginia Health Care Association Conference. OC Reilly provides its full suits of supply chain management services to all aspects of healthcare, including long-term care facilities. (February 2014)–A new 167,500-square-foot supply chain Distribution Center for the Allegheny Health Network has been placed into operation in Western Pennsylvania. OC Reilly is managing this project, designed to improve supply chain operations and cost efficiencies for the AHN. Allegheny Health System’s West Penn Hospital i Pittsburgh recently reported its first profit in 2.5 years. Read the full story here. OC Reilly recently participated in the Meadville Medical Center Foundation’s 11th Annual Golf Outing as a Platinum Sponsor. This yearly event helps to promote greater healthcare services to patients and families, as well as the greater Meadville community. 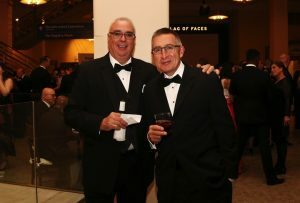 (April 2013)–OC Reilly has provided support to the 2013 Allegheny General Hospital Auxiliary Gala, “Fly Me to the Moon,” held this April at Carnegie Music Hall in Pittsburgh. Proceeds from the event will benefit the AGH Department of Neurology. (April 2013)–JDRF of Western Pennsylvania benefited from support by OC Reilly for its Rainbow Gala, held this April, with the goal of raising funds to help cure, treat, and prevent Type 1 diabetes. “Our team is so involved with clients in the healthcare industry, that we believe it is incumbent on us to help organizations like JDRF that exist to eradicate chronic diseases like Type 1 diabetes,” said Bill O’Connor, OC Reilly CEO. (January 2013)–OC Reilly was proud to participate in the Pittsburgh Penguins Foundation’s Second Annual VIP Dinner & Wine Tasting Gala in January, providing support for youth hockey and other programs directed at helping young people remain active. The event was held at Nemacolin Woodlands Resort. Monthly cash rebates that could be used to fund other strategic initiatives. Payout of one of the highest rebates in the industry. Clients have experienced an annual rebate of approximately $1 million for every $1 billion in annual revenue. Call OC Reilly at 412-325-6210 to learn more. OC Reilly recently offered support to the American-Ireland Fund, an organization that raises funds for the support of peace and reconciliation, community development, education, arts and culture in Ireland. The American-Ireland Fund held its annual fund-raising gala in Pittsburgh, with OC Reilly personnel in attendance. “We’re proud to support an organization that has provided such important services to the people of Ireland over the years,” said OC Reilly CEO Bill O’Connor. The ailing West Penn Allegheny Health System can be resuscitated whether or not Highmark Inc. and UPMC sign a long-term contract with each other, the insurer says in new financial projections filed with the state. If the reimbursement contract between the two companies — which allows Highmark insurance customers to use UPMC health care facilities — continues “beyond Dec. 31, 2014, WPAHS still captures adequate volume to produce positive results and generate the cash flow necessary to meet its obligations while continuing to invest in capital improvements,” the filing says.